In one corner of Ava’s shop is a saddle needing repair made by Hermés, the Parisian company known for their haute couture silk scarves. 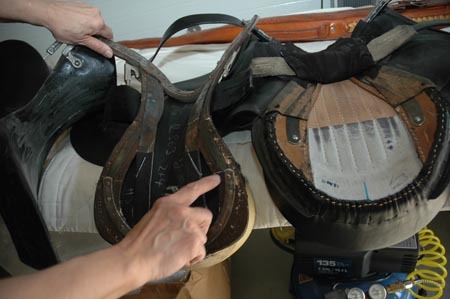 The company still hand-stitches their saddles, however most saddle makers today use machines. 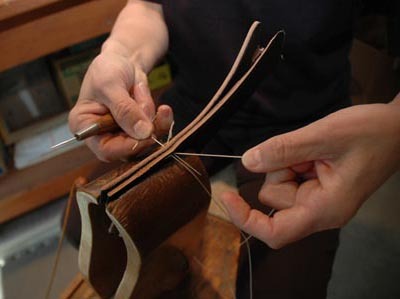 Hand stitching leather requires strong hands and two needles. 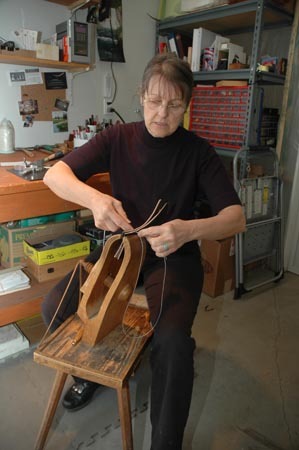 Ava sits at her “stitching horse” to sew two pieces of leather together, using two needles and an awl. The majority of her tools she inherited from her master, Ferenc Laszlo. In addition to building and repairing saddles, Ava is a master of the Hungarian art of braiding leather into decorative pieces called sallang. The Hungarian word translates to scrap leather. 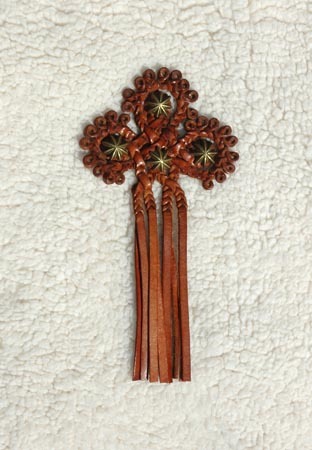 Originally, horse owners attached leather straps to the harness as a way for horses to fling away flies. “Because the working harness is brown or a natural color, getting dusty or dirty, it’s fine when you train the horses. We don’t use decoration. 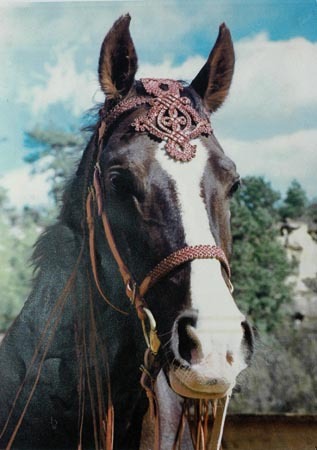 As soon as you dress up your horses for parade, even today, for carriage driving presentation, the Hungarians use these sallang decorations on the harness One on the forehead, two sideways at the ears and one on the back.” The use of brass ornaments — rosettes, stars, buckles — and painted color initials represent different barns. With Ava Vettenburg in our midst, perhaps we will see more horses adorned with sallang and more riders who are truly comfortable in their English saddles.